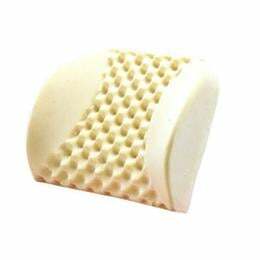 Relieve stiff back muscles with our unique egg crate foam cushion. Breathable air banks promote comfort and support. Odorless, dust resistant and lightweight. With washable, replaceable cover in Navy.